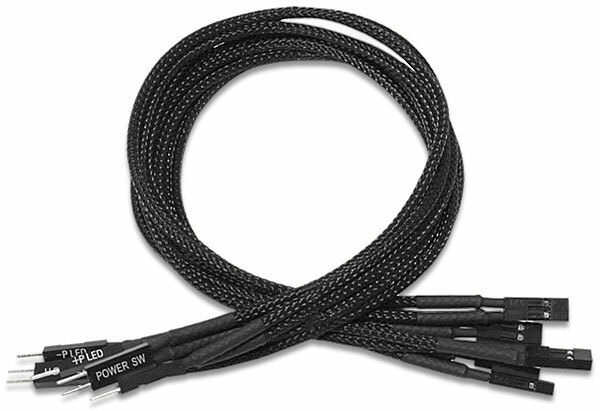 This front panel extension set of cables originates from the Nanoxia sleeved cable series. Each cable is 30cm long and the individual wires are covered with black nylon braided sleeves. This type of extension cable is typically used to extend the computer cases front panel motherboard connectors as well as helping to improve the overall tidiness inside the PC.